Is it time to break up — or are you just afraid? Sometimes, giving in to something that is healthier for you — even if it includes being single — feels like giving up … but it’s far from it. Giving up means you are just not willing to do what it takes to make it work. Whereas giving in is asking yourself the tough questions that may lead to a healthier relationship or to a breakup and something better for you in the long run. Being part of a couple is supposed to improve your life, not just keep you from being alone. This personal growth may be difficult and painful sometimes, but it’s vital. Especially if you want to fit all your emotional baggage in a carry-on instead of filling up the whole 747 that takes you to your future. You don’t want to be one of those people who go from one relationship to the next without analyzing what happened, the part you played in it, the red flags you ignored, and how these lessons impact your future, do you? Sure, it is simpler and less painful, which is why it is so common. But those people end up with others just like them — people who are no better off from past relationships, just more damaged. You deserve better. And so does your current or next guy. Here are some tough questions to ask yourself about your relationship, when things get tough. By considering them honestly, you might find the answer to improving what you have or be able to move on with more clarity and confidence. 1. Is this relationship, the way it is right now, really what you want? You wouldn’t go to a restaurant and order “lunch,” and wait to see what shows up. You would be very specific to get what you want. While it may not be perfect, it’s much closer and you can decide if it’s good enough to eat or if you want to order something (someone) different. If you communicated exactly what you want, would that clear the air and allow for some great improvements? Maybe you’ve just gotten bored or distracted. 2. Are both yours and his needs getting met? You two automatically have these four psychological needs: connection, certainty, significance, and variety. Which ones are currently getting met by you being together and which ones are not? Are you certain you are important to one another? Are on the same team, or constantly competing? Do you create enough variety with activities, date nights, and bedroom adventures, to keep you both interested? 3. Are you speaking the wrong love languages? If you haven’t discussed love languages with your partner, you’re missing a huge, important piece of your relationship communication! HUGE. It’s the difference in feeling loved or unloved, and that’s a big deal! Acts of service, words of affirmation, physical touch, quality time or receiving gifts. What will it be for you? What will it be for him? You don’t speak your language, you need to speak the other person’s language. 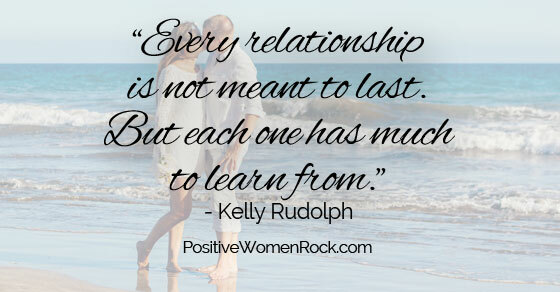 Otherwise, it’s hit or miss and that destroys perfectly good, loving relationships. 4. Are your personality styles compatible? One of the simplest and most fun things to learn is personality styles. It explains everyone in your life and gives you a tremendous boost when it comes to communicating and relationships. It’s very close to magic! He makes fast decisions, you need details and time to think. Or you like to have a lot of friends and he only wants a couple close ones. Most things you get frustrated with each other about (and more important than decision speed and friend numbers) can be easily explained by your personality styles, replacing conflicts with laughter. 5. Are you letting pain from the past destroy your future? You both have baggage. It comes with the territory and it destroys what could be perfect relationships every day. So, how are you going to avoid that? Without releasing those emotional snowballs from deep within the subconscious mind, there are a few things you can do. First, own your stuff, your junk, your garbage, baggage, trash. Second, as you see it get triggered within your relationship, acknowledge that all the emotion welling up inside is mostly from the past, not the current situation. It’s your awesome subconscious mind giving you warnings to keep you safe from the same pain, anger, hurt, or sadness you felt before. Thank it. Breathe through it. Playing with these five strategies can completely shift the dynamics in your current and future relationships with everyone in your life, not just romance. Remember, life and love are supposed to be fun and empowering. Kelly Rudolph, founder of Positive Women Rock, guides women over 40 from stuck and stressed to clear and confident by releasing emotional baggage from the past. Get your free Personality Styles Sheet and start rockin’ your relationship!